At the risk of sounding Pollyanna-ish, I was one lucky person when I contracted polio in three respects. First, I was geographically fortunate to be born in Southern Minnesota, equidistant from Sister Kenny in Minneapolis and Mayo in Rochester, each 65 miles from Owatonna. I contracted polio at age twenty-two months in 1948. There are home movies of me taking my first steps, then walking. Little did I know that I would have to learn this seemingly simple skill over and over again after ten orthopedic surgeries by the time I was eighteen, including a single-spika cast from neck to toes when I missed most of kindergarten. My architect father made a handle which was fitted on the back, so he could carry me around. He also made a wooden angled platform which fit on the sofa, so I could slightly sit up. My parents took out a loan to purchase the first TV on the block for my entertainment. Second, my mother was astute enough to recognize the symptoms immediately. I had an acute fever, refused to eat and couldn't walk, according to a single phrase in my baby book. I was rushed to Mayo where I was quarantined and hospitalized for six-and-a-half months. Two months later I was in a full-length leg brace and beginning physical therapy. My mother drove me in their new black Ford sedan four times per week for another six months. Two months later in early 1950, I had my first surgery, a tendon transplant on my ankle for drop-foot. I had the world's best care available. My orthopedic surgeon, Dr. J.N. Janes, was newly arrived from Canada and pioneered many revolutionary surgeries. In two cases, I was among the first to receive them. One increased the growth in my polio leg which reduced my leg length difference from three inches to half that. I also had a stellar physical therapist who followed me all through childhood, Esther Schwartz. She never failed to motivate and push me. My first five surgeries were paid for by the March of Dimes; my mother volunteered for them for twenty-five years in repayment. Third, I was fortunate to have intelligent parents who carefully considered each surgery, not allowing any intervention to or harvesting from my "good" right leg. My parents were also very athletic and outdoor people - hikers, swimmers, skiers and golfers. 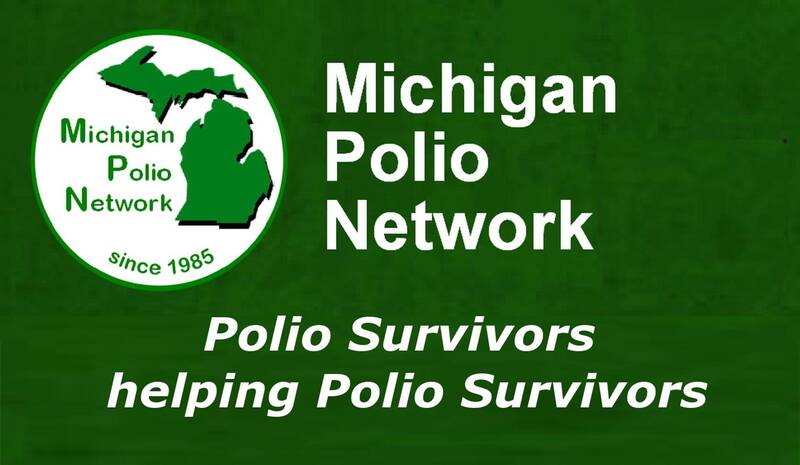 I was already swimming before I had polio, so I was initiated into the active life. Exercise was our way of life and communication mode, and nature our playground. However, they considered my polio to be temporary, so I was expected to participate and keep pace. I was always just one more surgery away from perfection. My sociologist mother presented my case before the school board, so I was among the first of disabled children in Minnesota to be mainstreamed. Most disabled children were boarded in a special school in Minneapolis. She paid the custodian to take me around the three-story building when I was in a cast and deal with my boots in winter. My dad put old belt buckles around my ice skate to support my ankle, although I basically skated on the side of my foot, keeping up with my peers. I taught myself to skate backwards, even execute turns and jumps. Since a surgery was scheduled roughly every two years or less, and always in the winter so as to not miss all the outdoor summer activities, I missed a great deal of school. But homework was always provided by compliant teachers who even made hospital and home visits. Hospital- and bed-bound for months after a surgery, I became an avid reader and artist, although I quickly fell behind socially. Friends and siblings were not allowed to visit, and all my roommates were sick or short-term. But I soon found school and peers tedious. While I was somewhat socially backward, I was more mature in many other respects. School was torture with all the pranks and teasing. Remember Hopalong Cassidy? That was just one nickname. The irony of all this was that I was still a very good student and athlete, setting records in competitive swimming. None of them were allowed to stand as I was disabled. I was also a synchronized swimmer in high school and college. In college, I participated in gymnastics for a year. I couldn't do the balance beam at all, but I did the vault, uneven bars and floor exercise. I could rarely stick a landing but excelled in the unevens with my great upper body strength from years of using forearm crutches. I've always considered myself to be an other-abled athlete. In the summer after fifth grade, my mother put in my application for Girl Scout camp. I'd been in Scouting and adored it, especially camping. After arriving at camp with all the others, I was separated from the rest and told to report to the director who told me that I couldn't stay because I was disabled. She called my parents to pick me up. My mother refused, it was a five-hour trip to northern Wisconsin; she said the camp would have to be responsible for sending me home. She also said there was no box on the application form or mention of issues taking kids with disabilities, so that was their problem. Since the camp couldn't afford to send me home, I was allowed to stay but on probation to see how well I could cope physically. I had no trouble keeping up with the exception of long backpacking trips which I simply didn't sign up for as an elective activity. Once in their system, there was nothing to be done, so I attended camp all through elementary and secondary school as well as being a CIT for two summers, then a camp counselor. It was crucially important to me, being part of the scouting community. I got a BA in art and art history as well as elementary and secondary art teaching certificates as back-up. After saving money the summer after college graduation by teaching swimming and as a lifeguard, I headed straight for California to get out of the Midwestern winters and live near the ocean. I worked in San Francisco for ten years in graphic design and publishing. Throughout my career with large corporations and small entrepreneurs, I rarely had health insurance. With one company of 3,000 employees, I was the sole worker not given health insurance due to my "pre-existing condition." I unsuccessfully sued an employer for being excluded but lost the case and was fired. It was in San Francisco that I heard about a new skiing program for disabled skiers. I found my way to the Lake Tahoe area to join a ragtag bunch of Viet Nam vets who were teaching amputees how to ski on a single ski and outriggers, Canadian crutches mounted on ski tips. I learned to ski from these great guys and soon became an instructor, the only female one. Men were bussed up from two Bay Area military hospitals and put on the slopes, many with fresh stumps and other war wounds. We were housed in a derelict former ski lodge and barely running on haphazard donations. The first challenge for each new prospect was ascending the narrow and steep staircase to the big bunk room. The only good feature of this lodge was its bar and jukebox; I've never danced so much in my life! In the winter of 1972, eight of us piled into an old van to go on the new disabled racing circuit in Colorado and Idaho. We weren't allowed to set up our own race courses in Tahoe but managed now and then to practice on old rutted ones left from regular racers. The other US disabled teams had big funding, the best and latest equipment and stayed in nice hotels while we had used and donated equipment, no money [I quit my job and was funding my racing career with unemployment.] and we often stayed on the floors of friends and host people. When I raced and won my first giant slalom, I had never skied one before! We won everything whenever we went, even though we often couldn't afford wax for our skis. I was National Women's Slalom and Giant Slalom champion at the finale in Sun Valley. I was not allowed to compete again because dragging my little leg behind me was deemed to be cheating, even though it obviously did nothing but slow me down. But what a run! I taught for nine years in CA, then for the Courage Alpine Skiers in Minnesota for three years. I skied every resort in the west, including the most difficult runs and moguls. I worked on both coasts and the Midwest: San Francisco, Philadelphia, Minneapolis and all over Oregon in graphic design, art direction and marketing. At thirty-one, I had my first PPS symptoms, well before it was medically recognized. I was variously diagnosed as hysterical, depressed and in chronic pain. Denial had always worked for me, so I ignored it all. I managed an alpaca ranch for eighteen months with thirty-two alpacas, a dozen chickens, fourteen cats, four dogs and two parrots with eight acres to mow and manage plus a huge truck garden. Later I lived nearly off the grid in a Bucky Ball with wood and passive solar heat on ten acres of Ponderosa pine and sage with a well for twelve years. I like to alternate urban and rural living. I've lived in Portland, OR, for the last six years. My lesbian partner of twenty-six years and I had to separate due to her MS; I was her caregiver for the last fifteen until she was too physically and mentally debilitated for me to care for her. We separated six years ago; she's living in CO near her family. I've been a part-time artist and have shown in small galleries, specializing in artist books and botanical drawings. [surendorf2artfoundation.org/aEthelred/] Travel is also a passion; three years ago I spent six weeks in Greece and Spain. 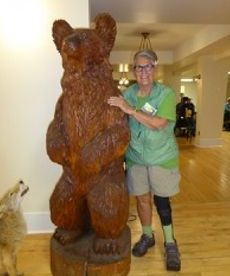 I currently ride my recumbent hand-cycle, kayak, swim, camp, walk and hike, although I rest for a couple of hours daily. [I wear a full-length leg brace and use a cane.] A year ago I had my first EMG with a wonderful local polio doctor, Dr. Gary Ward, and discovered that I had polio in my entire body with the majority of it concentrated below my waist. I had always been told I'd had it in only my left quadrant. I'm happy I never knew the full extent until later in life!